This fruity cuvée wine – made of Pinot Meunier and Pinot Noir – is not too dry in taste, but far from sweet. It provides a pleasant and elegant fruitiness of its Burgundy grapes together with smooth and gentle acidity. 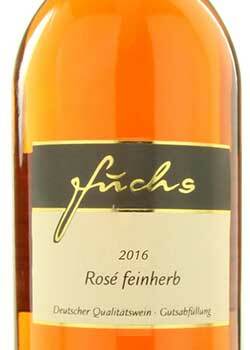 This Rosé wine is an allrounder with food and a pleasure to enjoy – well-cooled – as a summer and party wine.